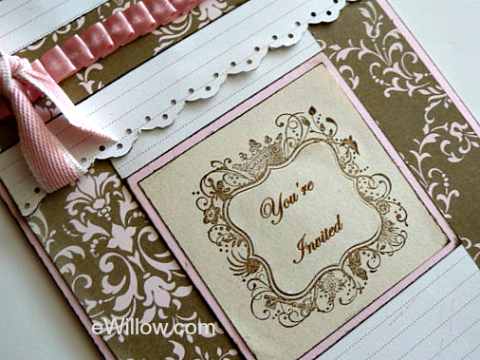 My daughter asked me to create an invitation for her French National Honor Society club. The club members wanted a nice invitation to give to their school's principal for the club's upcoming induction ceremony for next year. 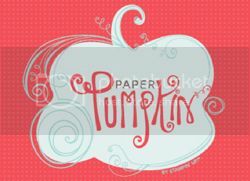 I made a big card because some occasions call for a card that is larger than the usual 5-1/2" x 4-1/4". I was only asked to make the card. I don't know what the teacher put on the inside. I was breaking out in hives, though, hoping that whatever she wrote matched the outside of the card and wasn't crooked. It's an OCD thing. I think there is medication for that. 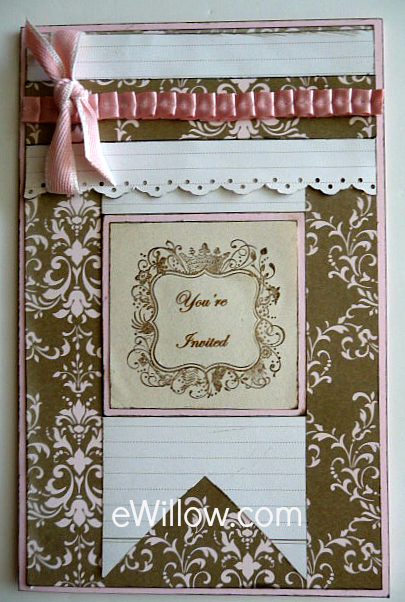 Labels: Beau Chateau Designer Series Paper, greeting cards, invitations, stampin' up!